I'm currently reading Between The World And Me by Ta-Nehisi Coates. Looks like you're going to be busy busy busy! Don't you love the holidays and all the family time you get? I know I do. I'll be celebrating Thanksgiving, which also happens to be my birthday, with my children and grandchildren. All of them except one son is vegan, and the food is always yummy. Vicki - Between the World and Me is such an excellent book... it really makes you think. I love being surrounded by family for Thanksgiving. We're down to just one vegetarian this year, which will make things a little easier. Happy Birthday and Happy Thanksgiving to you! So glad you've been all nonfiction this month! I've done the same. And I def thought Hillbilly Elegy was like 75% memoir/25% social analysis. But I liked that mix. It was this fascinating dysfunctional childhood story with a little learning thrown in on top. I think if you went in expecting a ton of hard-hitting social analysis, you'd probably be disappointed. Sarah - I think I was expecting more social analysis, but still thought it was a first-class memoir. Nonfiction November has been epic this year! 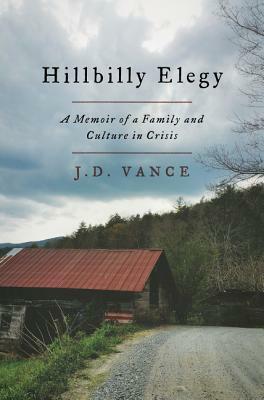 A friend just recommended Hillbilly Elegy to me...but I'll wait to hear what you think, I think. Wishing you and your family a wonderful Thanksgiving! Audrey - Hillbilly Elegy is a wonderful memoir... along the lines of The Glass Castle. I was expecting more social commentary, but if you approach it as a memoir, you won't be disappointed. Your Thanksgiving and family filled week sound wonderful to me! Happy Thanksgiving! Thanks, Kathy. Happy Thanksgiving to you, too! My wife read My Beloved World. She loved it. I am curious to read what you think when you are finished. I've been really embracing Nonfiction November too. I have discovered a ton of fabulous reads and have read more nonfiction this month than any other time before. I just finished reviewing When Breath Becomes Air and it was beyond amazing. I have Hillbilly Elegy on my wishlist and very much look forward to your thoughts on it. Whew! You are going to have a house full! I wish you a successful gathering. I hadn't purposely decided to do Nonfiction November, but it seems that I've already read and reviewed four nonfiction books this month. I'm loving it. Hillbilly Elegy was a book that seemed to link to my own experiences as a social worker in California's Central Valley (surprise, surprise! ), so it added to the picture I've already formulated from my experiences and from coursework in university. But...it didn't really make me feel any better about the election, even though I enjoyed the book for its "family history" aspects. I can definitely understand how people who are feeling betrayed by the system could be duped by someone with big promises. Enough said. As for Thanksgiving, I feel a little guilty, since I've been a guest for the last several years. At my daughter's, at her in-laws...they don't seem to mind, since I bring a few things. But I haven't hosted since the years when I lived in the foothill house. Enjoy your holiday, and thanks for visiting my blog. I just realized how potentially offensive are my comments about people being "duped." I'm sure there were people who voted the way they did...for other reasons. I understand what you meant... No one should take offense for a personal opinion. No need to apologize for "our opinions". Trust me, I understand how you feel. Hope to read Hillbilly Elegy soon. 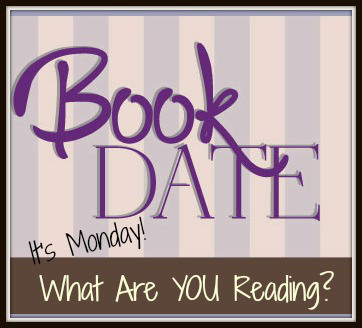 Laurel-Rain Snow - It seems like you have embraced Nonfiction November, too! I know what you mean about Hillbilly Elegy, especially with your experience as a social worker. No need to apologize for potential offense taken... everything is so politically charged right now. I think we're going to have to make Thanksgiving dinner a no-politics zone this year. I look forward to your thoughts on your nonfiction, a genre I do read probably one a month, though I don't always review them. Sometimes my books are in a narrow niche and I don't bother sharing. My son enjoyed My Beloved World and we have it here in paperback so maybe I'll pick it up. Rita - I think we're assured of a White Thanksgiving at this point ;-) I am loving My Beloved World and already feel confident in recommending it! Stay warm. Happy Thanksgiving! Enjoy your holiday festivities! Thanks, Pat. Happy Thanksgiving to you, too! Wow, that's a lot of snow, but I guess it's that time of year. We've had cold temps (lows in the 20s), but not thankfully no snow. I say this every year, but I'm really not ready for it! You are going to be super busy this week and in the coming weeks. I applaud you in advance if you keep up with your blogging. I barely have time to read these days. Work is exhausting and I fall asleep after 15 minutes of reading. I'm still listening to Just Mercy and finally finished Gemini (by Carol Cassella), so I'm now on to Lots of Candles, Plenty of Cake (which I'm thoroughly enjoying!). That should be "but thankfully no snow." Les - Wishing you safe travels and a wonderful Thanksgiving in Texas! I'd do anything to avoid flying this week, too. Gemini has been on my wish list for years (a medical mystery, right?) and Lots of Candles, Plenty of Cake is an all-time favorite. Enjoy the time with your daughter and her boyfriend. It sounds like you will be blissfully busy. For someone who loves to cook, preparing a meal for 21 people can be a dazzling challenge. I wish you the very best of Thanksgivings. For the second year, I'm roasting a free-range turkey from a nearby farm. I have lots of plans for this year's bird, to make him or her a little less tough, shall I say?, and moister. That's my challenge. Judith - Feeding 21 people in one sitting does pose some challenges, but thankfully I have a double oven... could not do it otherwise. I'll be brining the turkey again this year, a practice I started a couple of years ago with good results. Happy Thanksgiving! Hillbilly Elegy does look timely given all the post mortems on the election. Greg - We're actually up to 22" now, and it's still snowing! Hopefully it will not impact holiday travel... Happy Thanksgiving to you and your family. Hard to believe 12" of snow - pic is sure deceiving. Several of your NF picks are on my list. Have a wonderful thanksgiving. Okay. I'm shutting up about our tiny bit of snow. 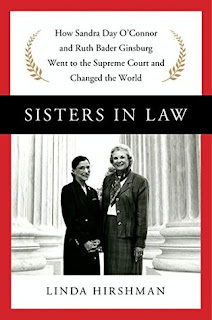 :) You are nailing Nonfiction November! BethF - Yeah, I don't think they were expecting quite this much snow... it's crazy! Twenty-one for Thanksgiving! That's wild. I'm not hosting this year and am actually very happy about that. I just get to go to my sister's and enjoy! Hope it's a great day. I admire your commitment to reading books on all the Supreme Court women and will be interested to hear your takes on them. I liked Hillbilly Elegy a lot and have thought about it over and over since the election. Susie - Twenty-one and holding, lol, but that's down from the 25 I was expecting a few days ago. It's going to be hard to get many reviews written this week, though I will try. Happy Thanksgiving! We'll be cutting down our trees this weekend too when everyone is in town. Enjoy your Thanksgiving! I hope the snow doesn't put a damper on your plans. Stephanie - I'm worried that we won't even be able to tell what the trees look like if they're covered in snow, but that's never stopped us before ;-) Happy Thanksgiving! Wow 21 people for Thanksgiving! How many turkeys will you buy? Did it really snow 12 inches there?? Enjoy your week & company! Susan - I bought a 23 pound turkey, but am considering roasting an extra breast ...gotta have those leftovers! It's been snowing steadily since Sunday afternoon. We're at 24" now and still counting!! 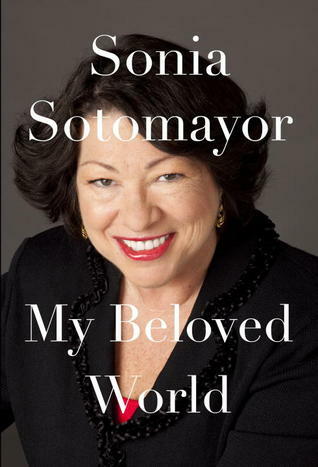 Oh my goodness...I *loved* Sonia Sotomayor's book! It is probably one of my favorite memoirs! Melinda - I'm about a third done with Sonia Sotomayor's book, but can already see why you loved it!! Donna H - We'll head south after the holidays, so I'm hoping we don't have too many more storms like this... we're at 24" now and it's still snowing! A nice selection. enjoy them all. Happy Thanksgiving to you, I hope you are enjoying the holiday time and the cooler weather. I love your selection of Non Fiction reads. I need to make more of an effort to read more widely. you have inspired me! Kudos to you for the great nonfiction month you've been having!